The word “Sheetali” is derived from the word Sheetal, which means ‘that which is calm, cool and soothing’. The practice of Sheetali Pranayama calms and cools the mind along with the body. It is also called cooling breath or Cooling Pranayama. This Pranayama has a positive impact on the nervous system and endocrine glands. A person becomes young and charming by practicing this breathing exercise as is mentioned in Hatha yoga Pradipika. A Person is able to control thirst and hunger with the daily practice of Sheetali Pranayama. This cooling breath breathing exercise can be used as a tranquilizer before sleep. Spread a Yoga Mat and Sit in any comfortable meditation posture on it with palms on the knees. Extend the tongue outside the mouth as far as possible and roll the tongue from the sides so that it forms a narrow tube. 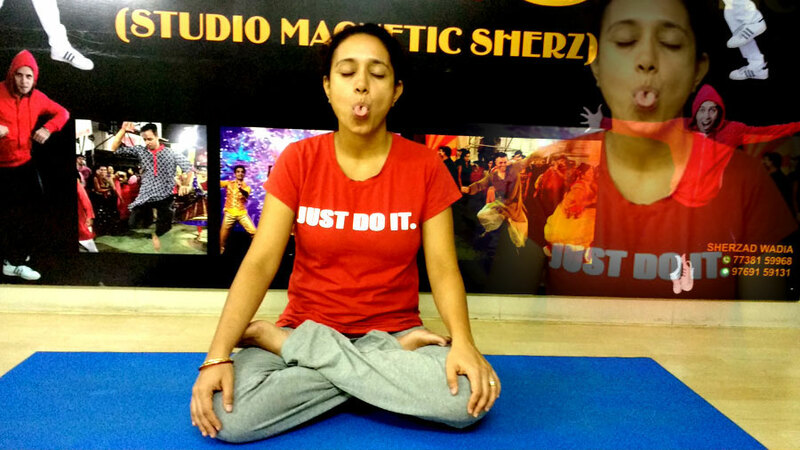 Inhale a long and controlled breath through the rolled tongue. First fill the abdomen, then the chest and finally fill the breath up to the neck. Pull the tongue inside and close the mouth. The time taken to exhale the breath should nearly be twice of inhalation. While inhaling the breath should produce a sucking sound. There will be a feeling of coldness on the tongue and roof of the mouth. Practice 5 to 7 seven rounds. Follow the same procedure till inhalation as above. At the end of inhalation, retain the breath inside for 7 to 8 seconds. At the end of inhalation, lower the chin to the chest (perform Jalandhara Bandha). Hold the breath for 6 to 8 seconds. Breathe out slowly with full control, taking nearly twice the time that the breath was held in Jalandhar Bandha. Do not practice Sheetali Pranayama in cold weather. Do not practice Sheetali Pranayama in polluted weather. Do not perform Antar Kumbhaka for a longer time as prolonged Kumbhaka has a heating effect. People suffering from cold, cough, asthma, bronchitis and low blood pressure should not practice Sheetali Pranayama. People suffering from heart ailments should avoid retention of the breath. People suffering from chronic constipation should avoid this pranayama. Sheetali Pranayama balances excess pitta. It cools the body and clears excess heat from the system. It mitigates hyperacidity in the digestive tract. Sheetali Pranayama is very good for inflammatory skin conditions. It helps calm inflammation throughout the body. This Pranayama calms the mind thus supporting mental tranquility. Sheetali Pranayama encourages the free flow of prana throughout the body. The practice of Sheetali Pranayama alleviates excess hunger and quells excess thirst. This Pranayama is very good for people suffering from high blood pressure. Sheetali requires an ability to roll the sides of the tongue to form a tube. Most of the people are genetically unable to roll sides. However, an alternate variation of the cooling breath called the Sheetkari Pranayama gives similar benefits.